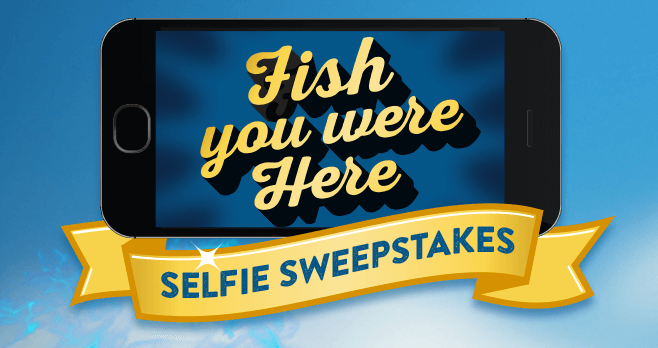 The Long John Silver’s Fish You Were Here Selfie Sweepstakes is back! This year again, register for the Sweepstakes at LJSelfie.com and you could win a 7-day trip for a family of four to Orlando, FL. Also, visit a Long John Silver’s during the Sweepstakes Period and snap a Fish Face Selfie with a Long John Silver’s menu item of your choice for a new chance to win. Plus, share the Sweepstakes with your friends on Twitter or Facebook to receive up to 5 additional entries. Eligibility: The Long John Silver’s Fish You Were Here Selfie Sweepstakes is open only to legal residents of the 50 United States (including District of Columbia) who are 18 years of age or older at the time of entry. Sweepstakes Period: Begins on January 30, 2017 at 12:01:01 a.m. ET and ends on April 16, 2017 at 11:59:59 p.m. ET. Limit: Limit 7 entries per person/email address during the Sweepstakes Period through any method or combination of methods of entry. Random Drawing: One grand prize winner will be selected on or about April 25, 2017 by random drawing conducted by Administrator from among all eligible entries received. Grand Prize (1): A 7-day/6-night trip for winner and up to 3 guests to Orlando, FL. Trip includes round-trip coach air transportation, hotel accommodations in Orlando, FL, and four tickets for six days to Orlando area theme parks as follows: 3 days at Walt Disney Word, 2 days at Universal Studios Florida and 1 day at SeaWorld Orlando. Total approximate retail value of grand prize is $10,000. For complete details, including Official Rules, visit http://www.ljselfie.com/.